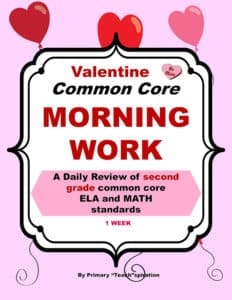 Perfect to use during the week of Valentine’s Day, your 1st Graders will love this FREE week-long Valentine Edition of Common Core Morning Work! 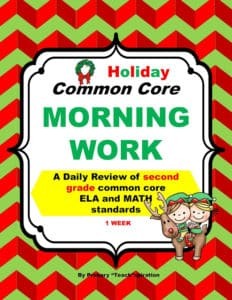 Just click on the image to grab your copy. 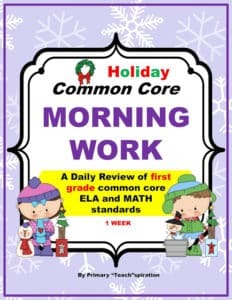 First Grade Christmas Bell Ringer! 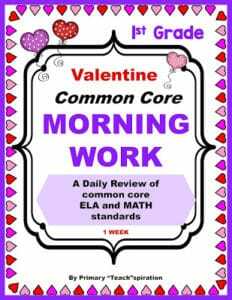 LOVE THESE VALENTINE MORNING WORK SETS!